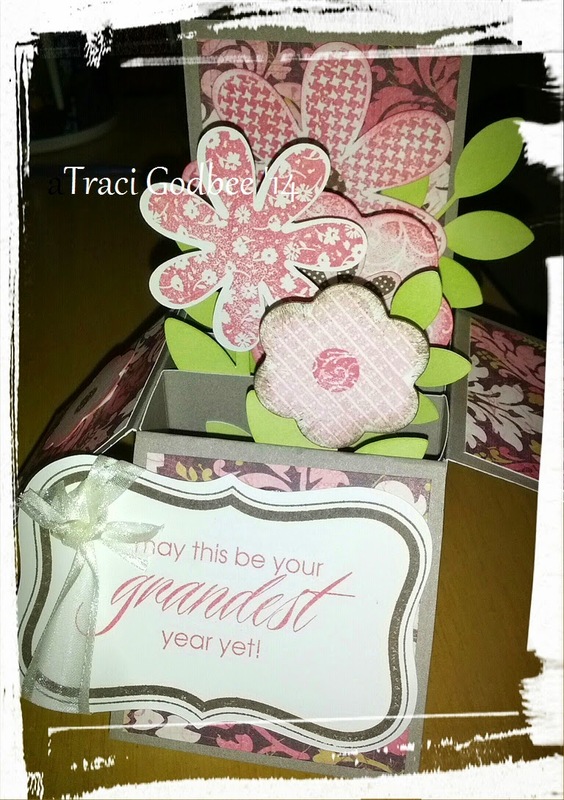 First of all- I got the instructions for this particular sized box from Split Coast Stampers. The final assembled size of their box was 6x6.5 inches. That is all fine and dandy but it doesn't fit any size envelope I own. SO - I cut the original pattern a half inch shorter in height so when you make all your cuts and folds it fits a 6x6 envelope. Check back this week for more artwork!